Alicante (ALC) airport is just 29 km from Campello with a journey time of about 30 minutes by private transfer (depending on Alicante city rush hour traffic). Murcia (MJV) airport is 110 km from Campello making the journey time about 1 hr 15 minutes by private taxi transfer. 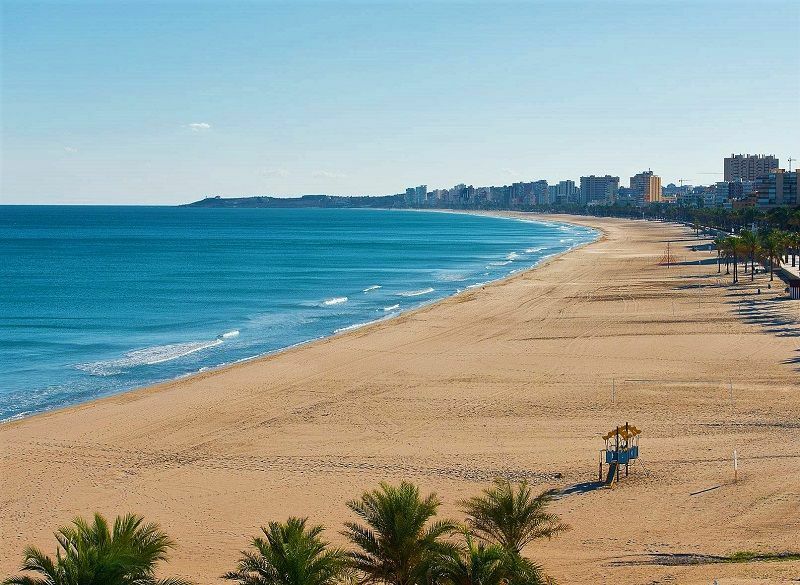 El Campello is a suburban beach front town with amazing white sandy beaches stretching over 20km and is directly on the tram line to Alicante city and Alicante port. A summer destination for many Spanish second home owners who flock there in summer months to avoid the sticky heat of the big inland cities like Murcia and Madrid. Getting there is cheap too.